Chemical engineers combine their knowledge of mathematics and science (particularly chemistry) with various engineering skills to solve the technical challenges of producing materials and using them for specific applications, Prof. Wyatt Tenhaeff explained in his introductory lecture. Process engineers design, construct and operate chemical processes and industrial plants. Applications engineers develop and engineer new materials or products for specific applications. 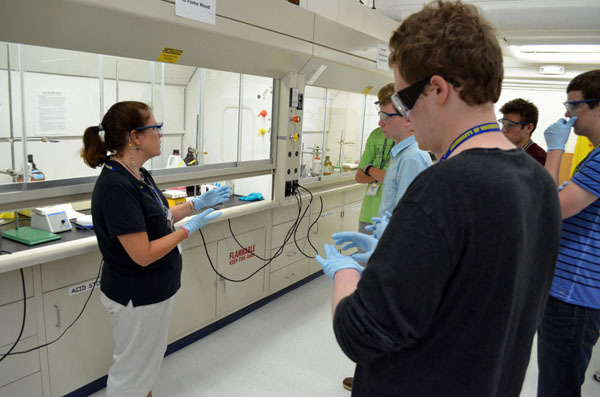 After listening to a presentation on lab safety, the students synthesized biodiesel from vegetable oil in the department's recently refurbished undergraduate teaching lab. The first order of business: Equipping everyone with safety goggles and gloves. Rachel Monfredo then walked the students through the experiment and explained proper use of the fume hoods. 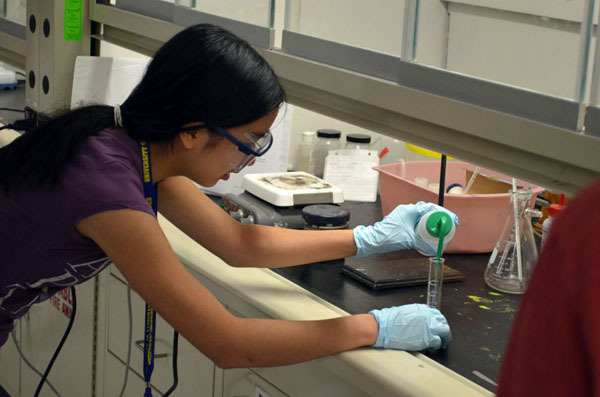 Samantha H. measures out 14 ml of methanol to use in the synthesis of biodiesel. Students took a break from the lab for two site visits. Chad C., Adam R., Ian P. and Garrett H. look on in Prof. Wyatt Tenhaeff's lab as he shows the students some of his work related to lithium batteries. 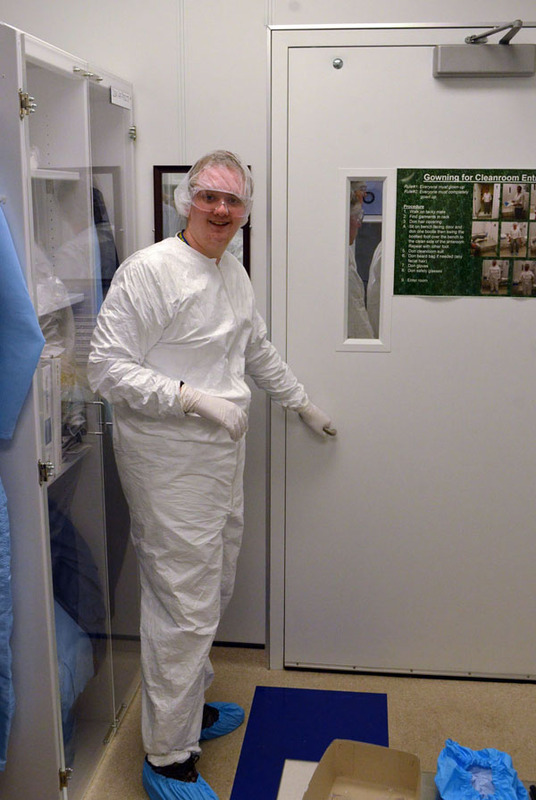 Sean S. is all suited up to visit the URNano clean room. Meanwhile, back at the lab, let the separation begin!